Carolyn Malachi is an artist’s artist. Her work is the kind that deeply studied technicians instantly recognize and appreciate as one of their own. And, while her work has largely straddled the fence between the avant-garde and the commercially accessible, with Rise: Story 1, she almost completely hops over to the side of experimentation and technician play. The results are a mix of flawlessly sung, rapped, and played material that feel disjointed in their arrangements and non-linear storytelling, creating an album more impressionistic than accessibly concrete, depending on how much creative play one can tolerate or embrace from their music. The DC-based artist has plenty of company in this lane of music creation as collage art in an approach to sound, lyric, and music where what most matters is what resonates and reverberates. Artists as disparate as Nick Hakim, Nicholas Ryan Gant, Diggs Duke, and Muhsinah liberally play in this space where avant-garde jazz, pop, and experimental soul meet. Vets like Dianne Reeves, Sweet Honey in the Rock, and Navasha Daya have gone back and forth throughout their career coming close to the edge of this no-man’s land without fully leaping in, but even their closeness to these edges usually is rooted in a world, folk, and African-centered perspective. Whereas the newer talents to this creative world further blur lines between genres and the organic and the electronic, mixing it all in for a unique brew. For some the effect is just beautifully sung noise that they can’t follow or dig into. As for those that eschew traditional genres, song structures, and the predictability of those expected compositions, these artists are like manna from heaven and Carolyn Malachi is among their leaders. 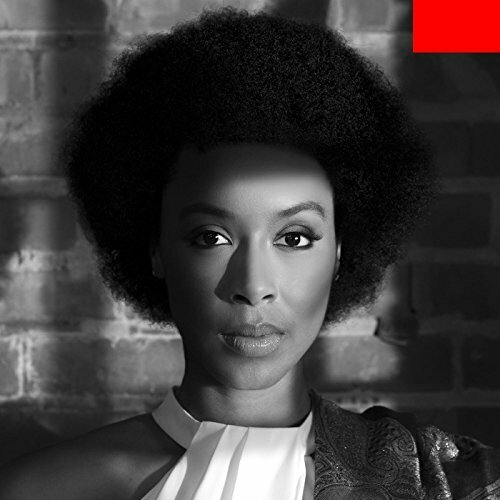 Where Carolyn Malachi’s latest album falls for you will depend on your level of adventurousness. Some of it is lively fun that allows easy access, like the bouncy “We Like Money (featuring Michelle Blackwell)” or the hip hop of the more straight ahead “Dwee Doh.” Some of it is sultry and seductive in a way that reminds fans of Malachi’s far more complete, Gold, like “Prologue: Sky (feat. Got My Own Sound)” and the Jill Scott flavored “Hunny Blues.” The flirtations Malachi’s horns and backgrounds have with her clarion lead on “Hunny Blues” offer some of the more beckoning work of Rise: Story 1, as are its three movements in and out of other genres. Some of the project is straight forward, like the folksy, anti-domestic violence blues of “If You Ever Lay A Hand On Me” which echoes Sophia’s signature tune, “Hell, No,” from the Broadway musical, The Color Purple. Then there’s the drum ‘n’ bass moment of “Introduction: I Wish” with its constant refrain: “Rich, I wanna be rich” which builds and reaches until it explodes in a high note of longing. As you can see, there’s no rhyme or reason to the leaps, though one suspects there is a single cohesive story there to unify it’s differing color palettes, just the play of a fearless musician exploring music and sound with varying outcomes. None of Rise: Story 1 is expected or predictable. And, if you want to ride this ride, you have to be this tall and faithful enough to just trust Malachi’s driving over many musical terrains. It’s not always a smooth ride, but it’s never less than engaging. That said; some engagements can ask too much of some guests. Whether you accept their mysterious invitations is a matter of taste, tolerance, and appreciation of those technical artist’s artists of the world. Recommended.